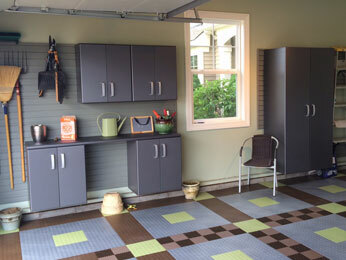 With storage space at a premium for most of us, garage space serves many purposes beyond protecting our vehicles: providing storage for outdoor and seasonal items, hobby space, workspace, and even expanded living space. Yet, most garages aren’t designed for storage, and so items pile up and become difficult to find – and sometimes even create tripping hazards. 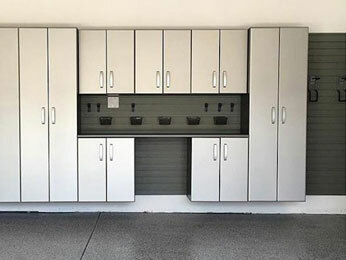 Custom garage storage cabinets from Overhead Door Company of Northern Kentucky can change that. 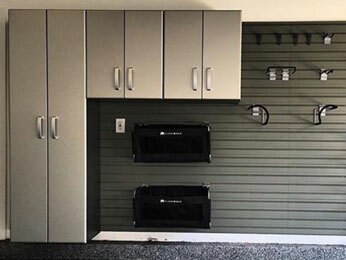 We offer a wide range of garage storage solutions in multiple finishes and configurations to meet your unique needs. We offer free sales estimates and outstanding customer service as we partner with you to transform your space into an organized haven, where it’s easy to find what you need without tripping over items you have no place to store. 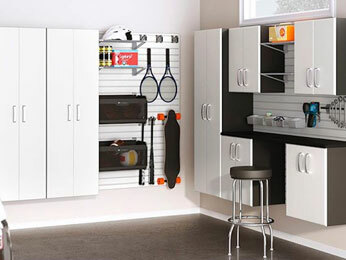 Contact us, and let’s create the garage storage solution that works for you. 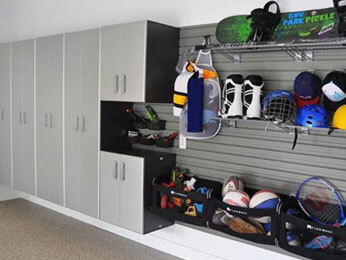 Don’t miss our garage wall organization solutions, overhead garage storage solutions, and garage flooring solutions – see how a fully customized garage space can transform your life. 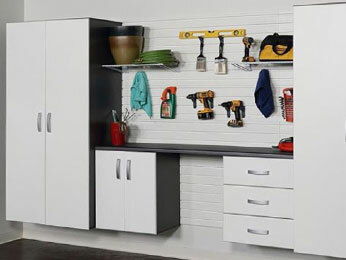 Below are a few examples of beautiful, flexible garage storage solutions including storage cabinets, wall systems, and options to fit every storage need.